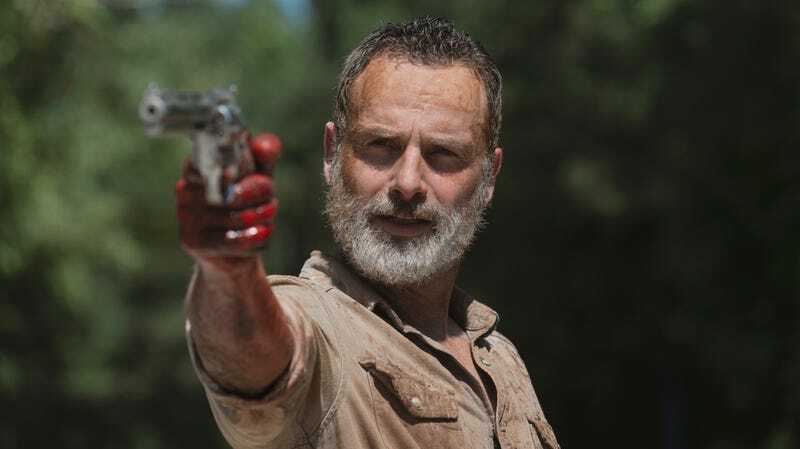 The Walking Dead is a punishingly inconsistent series, but even those who shuffled off ages ago know that its finales—midseason or otherwise—are good for a surprising death or two. That’s typically enough to draw those wayward souls back in for a spell, but it appears the recent departures of Andrew Lincoln and Lauren Cohan may have been a deal-breaker. TheWrap reports that the season 9 midseason finale drew 5.1 million total viewers, which sounds like a lot until you measure it against season 8's midseason finale and realize the number dropped a whopping 35 percent. That makes it an all-time low for a midseason finale, which is a touch distressing in light of season 9 also boasting the series’ least-watched premiere. When you factor that in, it looks as if Lincoln and Cohan aren’t to blame for the dire numbers, which, truth be told, have been dropping steadily for years. There is some good news, however. The episode, which saw the death of under-utilized supporting character Jesus, saw a 6 percent increase over last week’s episode, and was also up 8 percent among that coveted 18-49 demographic. Also, let us not forget that The Walking Dead is still the most-watched show on cable and the second most-watched drama across all of television. Will the younger generation stick with the franchise as it spins off into movies, digital content, and (sighs) more TV shows? AMC doesn’t care. They’re just gonna keep pumping money into this thing until it reanimates in culture as the blood-lusting phenomenon it once was.